This map shows where the North Fire broke out in the Cajon Pass between Highway 138 and Oak Hill Road on Friday, July 17, 2015. 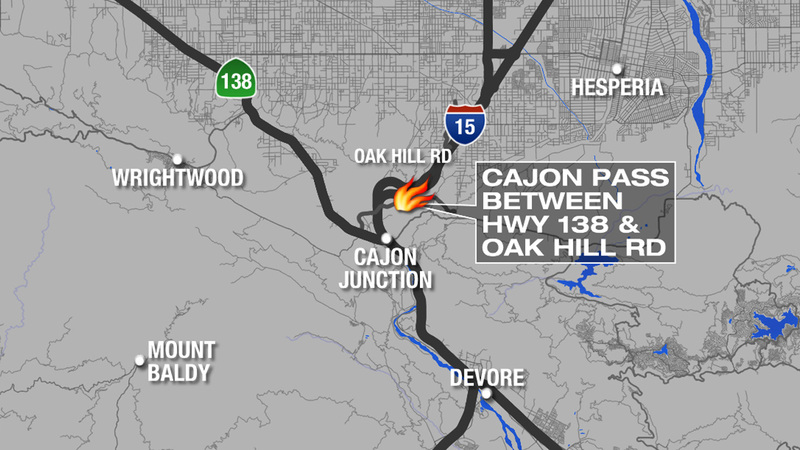 CAJON PASS (KABC) -- A fast-moving brush fire forced the closure of all lanes of the 15 Freeway between State Route 138 and Oak Hill Road in the Cajon Pass Friday afternoon, torched several vehicles and prompted mandatory evacuations. The fire burned at least 5,450 acres just north of State Route 138. Caltrans advised commuters to avoid the area because heavy delays were expected. All lanes on the 15 Freeway were temporarily shut down between State Route 130 and Oak Hill Road. They were reopened in both directions on Saturday. Mandatory evacuations were issued for the Baldy Mesa areas east of Sheep Creek Road, north of Highway 138, west of 15 Freeway and Highway 395 and south of Phelan Road. At about 6:30 p.m. Saturday, residents were being allowed back in through Baldy Mesa and Phelan roads. 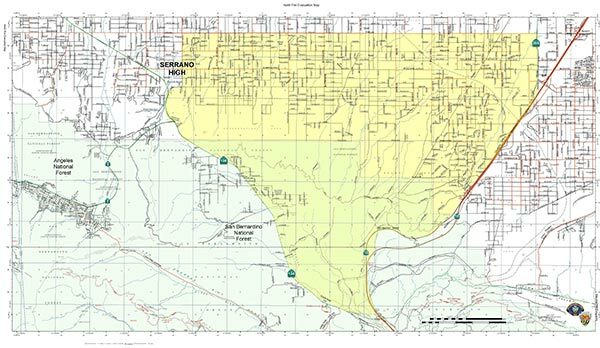 A map of the evacuation zone from the North Fire is shown in this photo. An evacuation center was set up at Serrano High School, 9292 Sheep Creek Rd. in Phelan. San Bernardino County Animal Control has set up by an animal shelter at the San Bernardino County Fairgrounds, 14800 7th St. in Victorville. 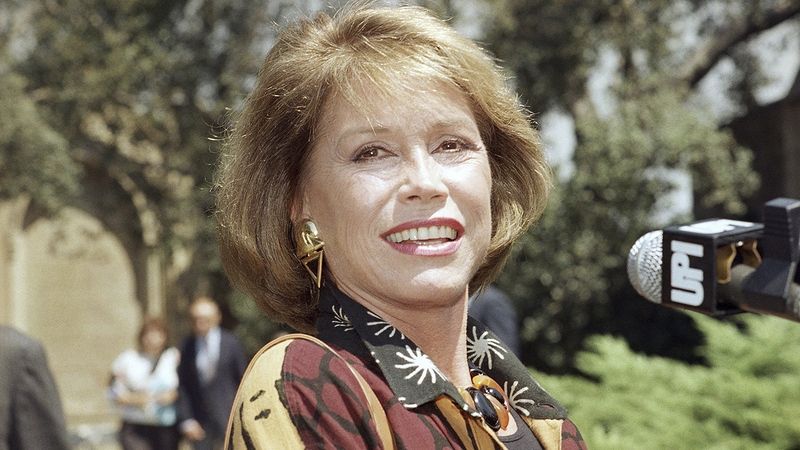 The beloved actress passed away at the age of 80.